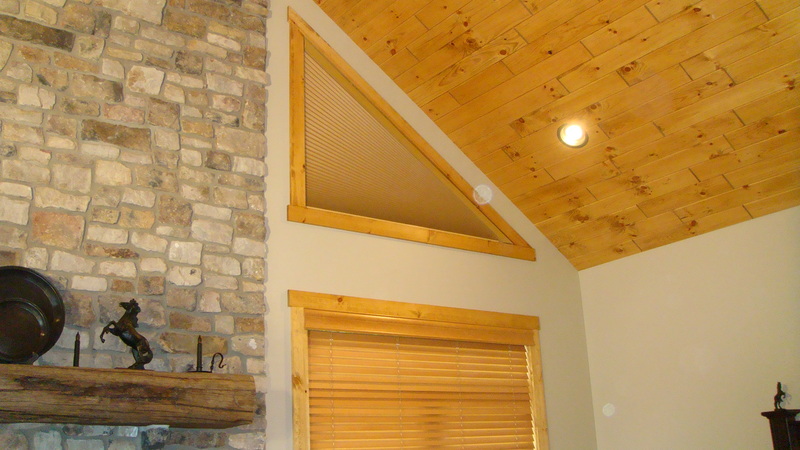 Angled Cellular Shades – DEL Motorized Solutions Inc.
Our angled motorized cellular shades are hand crafted to custom fit each unique window. 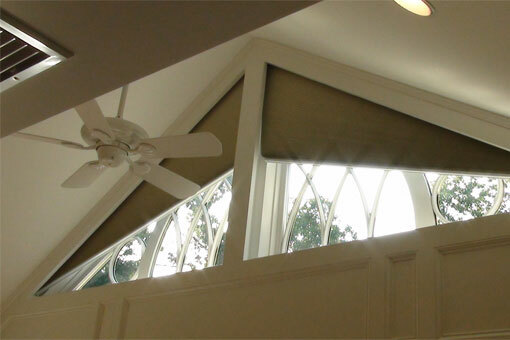 The system mounts at the top angled portion of the opening, fully retracting to expose the architectural features of your window. 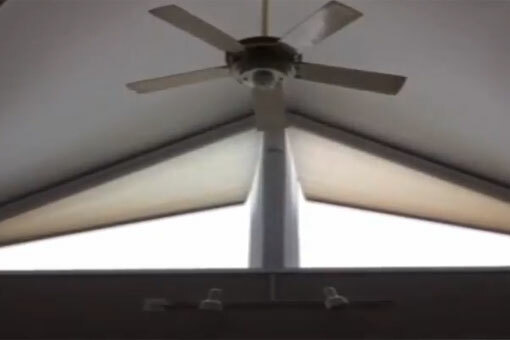 They are energy efficient in both cold and warm climates. 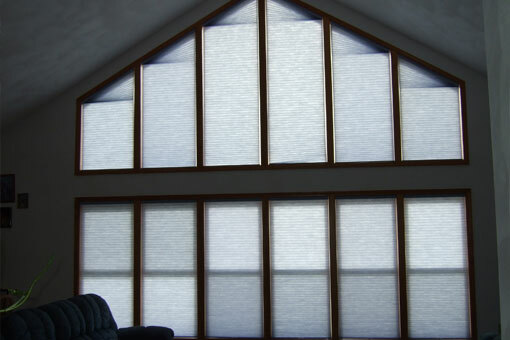 Their honeycomb-like design traps air in distinct pockets, providing insulation to lower your energy consumption and assist with the efficiency of your home. Fabric options range from sheer to blackout. 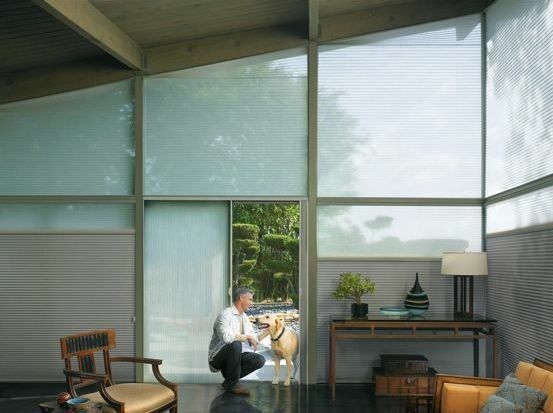 Cellular shades are an optimal choice for an energy focused design.